The legendary duo of Avo Uvezian and Henke Kelner has always been revered for the excellence shown in their work. And it clearly visible in the AVO Syncro, their first ever box pressed cigar. Thanks to the lush soil found in region of Ometepe, Nicaragua, the ingredients truly shine in their own rights, working together flawlessly for maximum quality. 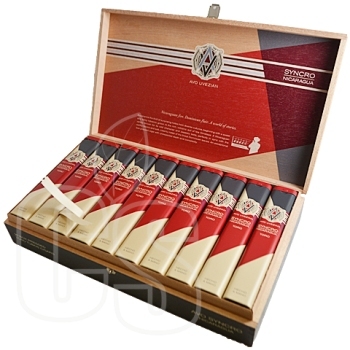 A Dominican binder along with a masterful blend of Nicaraguan, Dominican, and Peruvian Olancho long fillers are rolled inside of a chocolaty brown Ecuador Habano wrapper, making for a one-of-a-kind medium bodied flavor. Notes of pepper, cream, cedar, and apricot definitely make for a sensational experience. 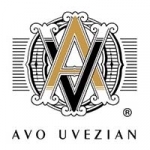 Rated a remarkable “93” as well as a spot in the Top 25 honors for 2015, AVO has more than proven why they’ve been considered a landmark in the history of cigars.